Of course one of the biggest questions we have to ask ourselves (like every day it seems) is “are we ready to live on a fixed income for the long term?” Hopefully the answer incorporates what we’ve done over our working lifetimes to prepare for that day, whenever it comes. Solid planning includes making sure we have the ability to draw from a solid base of dividend stocks, income from bond funds or individual issues, including municipal, corporates, and US government-backed paper, and any other sources of future income we’ve planned for since our 20’s. Stocks, bonds, pension plans, you name it: any source of income, particularly steady, dependable, and risk-averse or even better, guaranteed, can help you sleep more comfortably at night instead of wondering if you’ll run out of funds long before you run out of breaths. Avenues to access additional funds are well worth your time to consider. One such avenue is annuities. Annuities are a way to virtually guarantee a steady source of income for as long or often as you need in, or even before, retirement. Indeed, annuities are a great way to make sure you have what you need when it comes time to retire. How much income can I expect from my cumulative pension plans? Many employers have pulled defined pension plans from employees over the past 10-20 years. Taking stock of where you stand is a critical first step. How much income can I expect from my 401(k) or IRA plans? Remember, you’ll have to withdraw monies from some of these plans by 70 ½. Determine how much that means today, and how, or if, you can turn that money into a steady monthly payment. What is the Real Rate of Return on My Savings and Investments? Keep in mind management expenses, taxes, and in some cases depreciation, will lower what you expect to see in retirement. That money may be unrecoverable just when you need it most. How Much Will Social Security Pay? Wow, this one is a bit tricky, but you can get a pretty accurate estimate by taking the free 2016 retirement quiz at Plentitude. Again, be precise so you can add those funds to your calculations accurately. What is the Total Sum of These Sources? It’s time to add up the sources so far. What’s that number look like? Does it seem enough? What are My Expected Expenses? You may be living very comfortably today with your “cash flow” of income vs expenses. But you need to understand what changes may occur in that lifestyle. For example, healthcare costs, which rise as we age, need to be incorporated into your equation. Understanding what your basic expenses will be can help you determine how much income, at a minimum, you’ll require. What If I Lose Any Portion of My Savings or Expected Income? Remember, stocks and bonds are subject to market conditions, and those may change at a very inopportune time…like just when you need to cash out to start your retirement. Am I Familiar With Annuity Products, Services and Benefits? Now that you’ve done the math, it may be time to answer this critical question before its too late. In short, annuities are designed to provide you with a stream of contractually agreed upon money over a mutually agreed period of time. How Can I Learn More About Which Specific Annuities are Right for Me? First, it’s important to see what your expenses might be, how much income you can count on, and if you’re going to have a retirement income ‘shortfall’. You can find out if you’ll have an ‘income gap’ in retirement by clicking here to take our Free 2016 Retirement Income Quiz. Or, if you’d like to speak to a retirement income specialist about your unique situation, click here to schedule a free strategy session to discover the answers to these important questions: 1. What will your expenses be when you retire?, 2. Will you have enough income to cover your basic expenses?, 3. Will you need to keep working to make ends meet?, 4. Is your money safe in your 401K and IRA accounts?, 5. 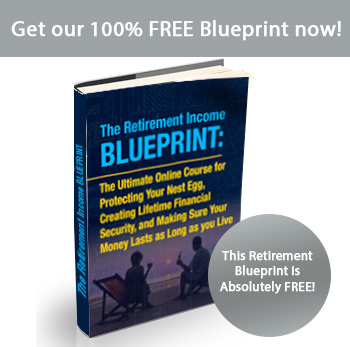 Will you run out of money in retirement?, 6. Will you have to rely on social security for the majority of your income in your senior years?, and 7. How to create a contractually guaranteed income stream that will last as long as you live?